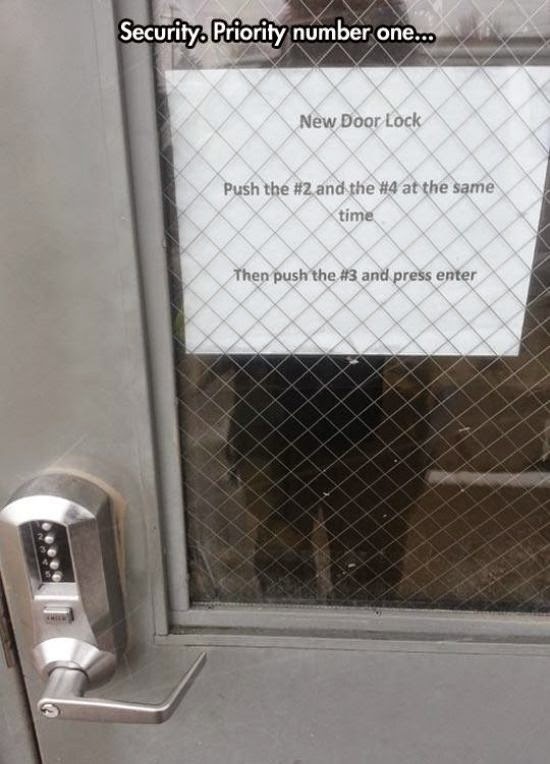 One wonders why they even bother to lock the door. It's only going to keep out those who can't read. Don't rush to judge: this is done frequently in nursing homes to stop patients with dementia from escaping.